If you ever need a new nose for your 1983 Mercedes 230E, Chtaura in the Bekaa Valley is the place to go. It’s full of workshops keeping Lebanon’s extraordinary range of 1970s and ‘80s European and American cars on the road. Yet, while this area looks like the last place you’d expect to find a world-class winery, at the edge of town, set back from the road, is a fine collection of 19th-century buildings that make up Domaine des Tourelles. The ugliness of much of urban Lebanon, however, points to something else: people want to live here. Everywhere, there’s money to be made, whether from high rise hotels or spare car parts. Meanwhile, this country of 5 million citizens – that’s about the size of Connecticut – is also struggling to deal with some 1.5 million refugees (estimates vary) who’ve fled to their land to escape the war in Syria. From Domaine des Tourelles, we take the road south towards Kefraya, where suddenly we’re among vineyards dominated by snow-capped mountains. Chateau Kefraya, a fortress-like building dating back to the 1940s that’s surrounded by pine and cedar trees, could easily pass for Switzerland. It’s hard to believe the war in Syria is only 12 miles away. Though there are checkpoints on roads manned by young-looking soldiers, everyone appears relaxed. The fact that the war hasn’t spilled over is due, at least in part, to improvements in the Lebanese military initiated by the British government and implemented by British army Lieutenant Colonel Giles Taylor. Also, according to Karam, there’s little appetite for conflict, despite the stark sectarian divisions between Christians, Druze, Sunni Muslims and Shia Muslims. “Nobody wants change, and everybody benefits from freedom,” adds Etienne Debbane, one of the owners of Ixsir, a winery founded in 2008. The Lebanese – long time consumers of whisky, arak and French wine – are “slowly waking up to pride in Lebanese wine,” says Ixsir’s Hady Kahale. Internal tourism is growing too. Kefraya gets 50,000 visitors per year. There’s clearly a lot of money around, as evidenced by state-of-the-art winemaking equipment at Kefraya and Ixsir. 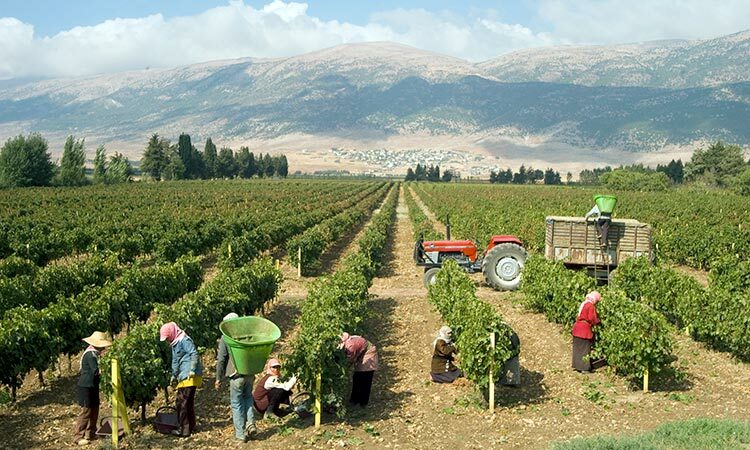 According to Kefraya’s Edouard Kosremelli, wine is Lebanon’s highest profile export, and benefits the whole country. “The wine industry has a trickle down effect to many hundreds of families in the Bekaa, the vast majority of whom are Muslim,” he adds. Faouzi Issa from Tourelles points out that not even winery owners are all Christian, citing, for example, former Druze warlord Walid Jumblatt, who’s now an investor in Chateau Kefraya. In downtown Beirut, next to a derelict 19th century building, farmers from all over the country sell produce at the Souk el-Tayeb market. Kamal Mouzawak, the market’s organizer, shows me Christian wine producers alongside Shia women in headscarves. 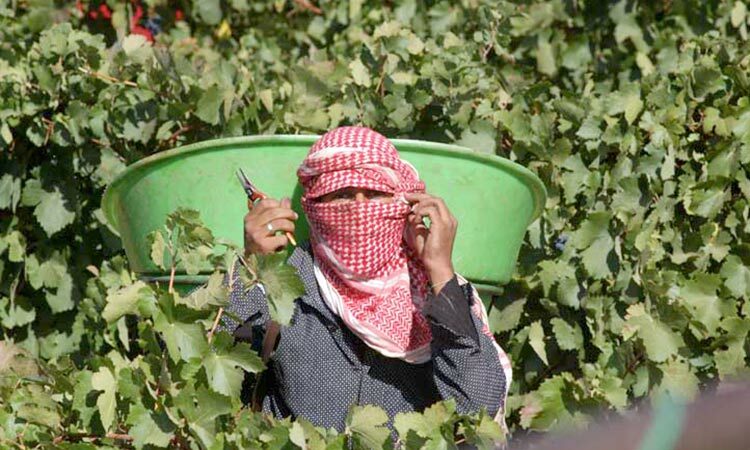 Some Muslims even drink wine. Joe-Assad Touma at Clos St. Thomas affirms, with a chuckle, how their sales drop significantly during Ramadan. Not everyone is so positive. “The wine market is stagnating,” Aziz Wardy from Domaine Wardy tells me. About 70% of the production is exported. Although there’s a receptive Lebanese restaurant market around the world, this can lead to – as one winemaker put it – getting caught in a “kebab ghetto”, i.e. only selling in Middle-Eastern grilled meat restaurants. Lebanon’s modern wine industry was started by the French in the 19th century, and today’s business keeps true to its French rootstock. The grapes – cabernet sauvignon, syrah, merlot, cinsault, chardonnay, viognier and grenache – are largely French. The wine bottle labels are often in French, and all the winemakers I met were trained in France. The Lebanese do tend to employ the best: the consultant at Ixsir is Hubert de Boüard from Chateau Angelus; Diana Salame Khalil, winemaker at Wardy, is formerly of Domaine Leflaive. But this Frenchness makes it difficult for the Lebanese to differentiate themselves on the world market. Unlike Turkey or Greece, Lebanon doesn’t have a wealth of indigenous grapes, as the only two quality native grapes are white: obaideh and merwah. So what can Lebanon do that is unique? One company that has no problem in this area is Chateau Musar. Their fame rests partly on the late Serge Hochar’s talent for publicity; though they weren’t the only vintners making quality wine during the civil war, it was his story that caught the world’s imagination. But Musar reds – which are made from a blend of cabernet, carignan and cinsault – also have a distinctive taste: heady, a little wild, with a cinnamon sweetness. The oldest wine I try on this visit – a 1960 from Chateau Ksara, a former monastery – is a blend of carignan, cinsault and grenache, three grapes originally brought by French Jesuit priests from Algeria. Though an ordinary vin rouge made by the monks, it’s still vital and fruity, with that spicy quality Musar lovers will recognize. 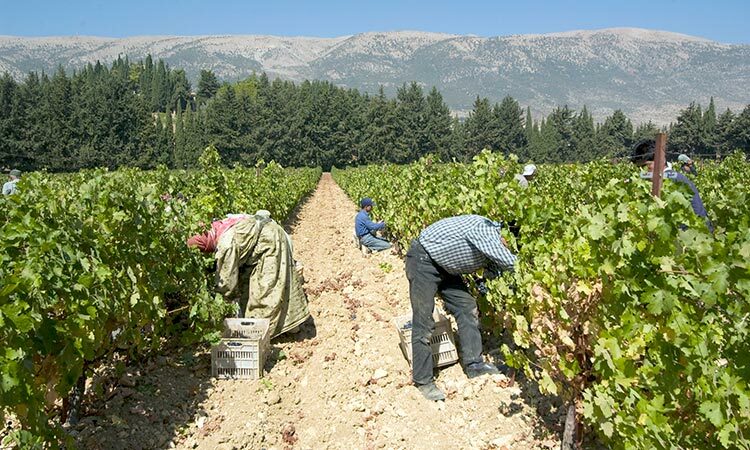 After the civil war ended in 1990, Lebanese producers began pulling up these less-glamorous vines in favour of Bordeaux varieties. For a long time Karam was – as he put it – “a mad lunatic,” begging producers not to discard the jewels growing in their backyard. Today, these winemakers are finally realizing the world does not need another cabernet sauvignon. Karam believes cinsault can be the “pinot noir of the region,” and, upon trying Domaine de Tourelles 2014 Vieilles Vignes bottling, I find it hard to disagree. Wardy also bottles a small amount of varietal cinsault which is superb. At Kefraya, I try some tank samples of carignan that feature a richness rare in this often unlovely variety. There’s no doubt that these southern grapes are more suited to the heat of the Bekaa than cabernet sauvignon. The frustrating thing is that many of the most distinctive wines are either not available commercially, like Wardy’s cinsault, or only in tiny quantities, such as Wardy’s varietal obaideh, perhaps Lebanon’s finest white wine. Nevertheless, the Bordeaux-style wines can be excellent. Seven years ago in London, I remember trying a few that were notably over-oaked and over-extracted. Thankfully, this year was completely different. Touma’s Chateau St. Thomas 2001, a blend of merlot, cabernet and syrah, as one example, stands out as a highlight of the trip. If I had to describe Lebanese wines now in one word, it would be pure. They can age too. “The future is looking good, as long as the region remains relatively stable,” concludes Kosremelli. It’s a big if, but the confidence of the Lebanese people is infectious, and their attitude shines through in the wine. So much richer and spicier than expected from a variety mostly dedicated to rosé in France. Tasting this, it’s easy to see why Michael Karam is so excited about cinsault. A blend of cabernet and syrah made from grapes grown at altitude outside the Bekaa Valley. This altitude shines through with deliciously clean and fresh acidity, alongside a floral quality. A Lebanese classic. A delightfully ripe but not overblown blend of cabernet, syrah and carignan. Also what they serve on Middle East Airlines. 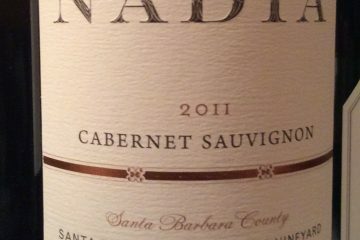 Meaty blend of merlot, cabernet and syrah with lots of bold fruit, vanilla and tobacco; a wine with good aging potential. A similar blend to the above, this has such pure red fruit, almost like a Burgundy, and supple tannins. Polished but also distinctive. Another that has years of life left in it. This is what Karam would call a Bekaa blend, one third cinsault with some syrah, cabernet and tempranillo. It’s full of dark crunchy fruit, earthy notes and, at this price, absurdly good value for money. I was a guest of Wines of Lebanon. Thank you to Madelaine Waters and Michael Karam for organizing such an interesting trip and to everyone at Château Ksara, Château Kefraya, Ixsir, Domaine Wardy, Domaine des Tourelles and Clos St. Thomas, and at the Phoenicia Hotel in Beirut. All photos courtesy Wines of Lebanon. Also: the sweet wines are varied and interesting.